Well, I've finally broken into the American market! One of my comic scripts has been accepted at GrayHaven Comics and I'm over the moon. GrayHaven are a good sized comic book publisher in the US and they're packed with an array of talented editors, artists and writers. Take a look at their feature print comic The Gathering. I actually wrote this story a while ago, but when GrayHaven opened their submissions window, I jumped at the chance. After a few changes (too many words! ), 'Desperate Measures' is now awaiting an artist to hopefully see print next year. Another day, another story published! This time it's an all-singing, all-dancing 2000AD love fest! As mentioned previously (here), after getting my Chopper story 'Different Strokes' accepted by Zarjaz, I used my bestist Jedi Powers to persuade Art Droid, Jake Lynch into doing the artwork (for which I'll always be eternally grateful.) 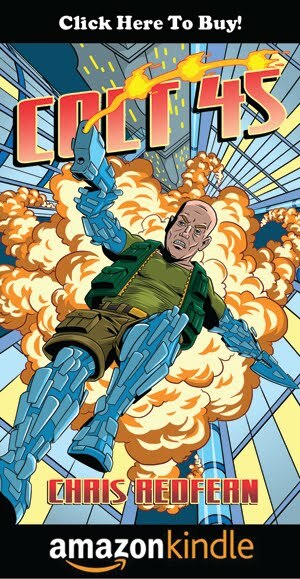 He then asked another Art Droid, Pye Parr, into providing the titles and BOOM! 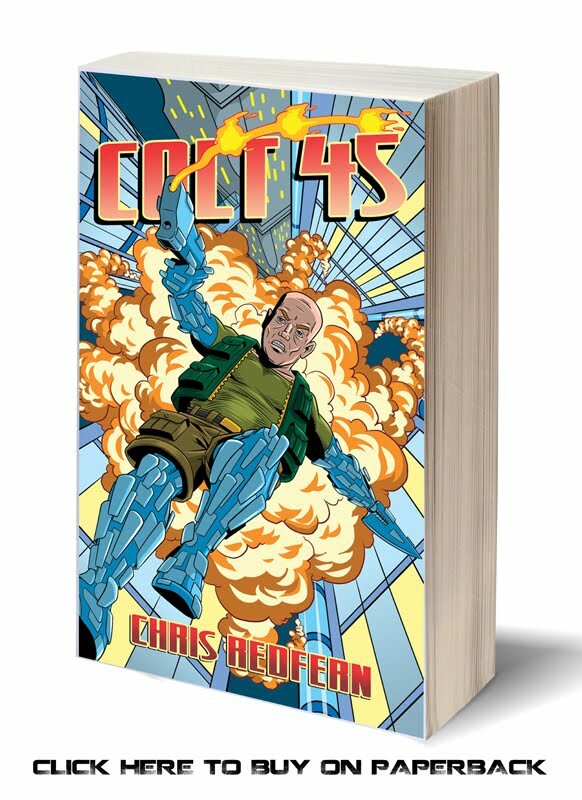 - a story even the Mighty Tharg might be proud of! 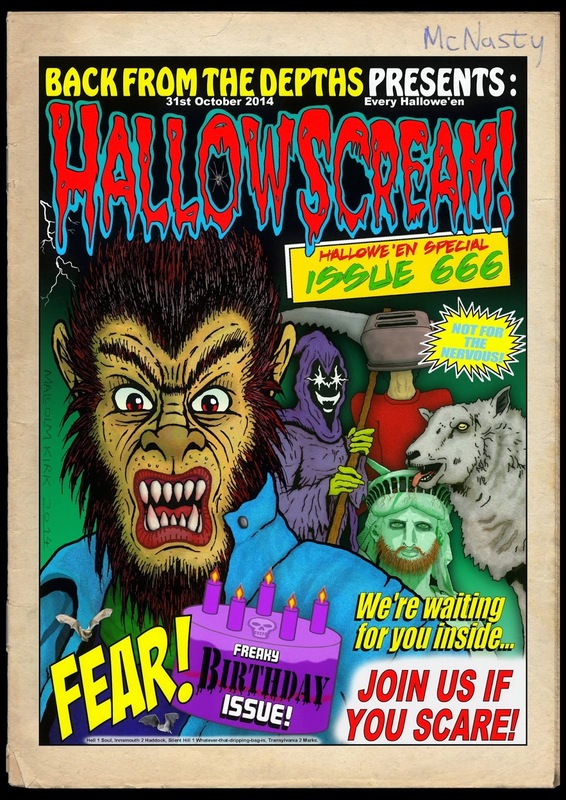 The sixth edition of Hallowscream has been published and is now available to download for FREE! It became something of a mission for me to get into this comic and after several failed attempts, my story 'It's A Dirty Job' was finally accepted. I managed to persuade Paul McCallan to lend me his fantastic art skills and here were are... mission accomplished! Click on the picture below to go to the Theatre of Terror page, where you can download the comic for FREE!